Posted December 5, 2017 by SafeGuard4Kids Staff & filed under News and Updates. On a rainy fall morning, transportation directors, lawmakers, and the media gathered at the Center for Advanced Product Evaluation (CAPE) to witness a once in a lifetime crash test demonstration. A semi-truck traveling 30 mph slammed into the side of a school bus right before their eyes. 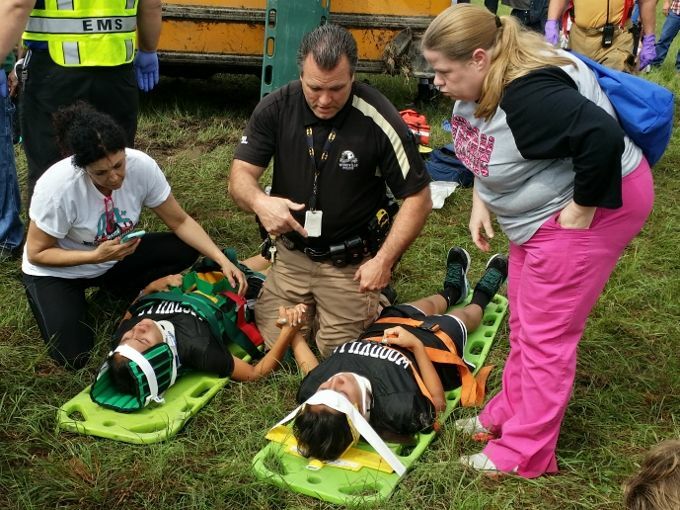 Inside the bus were unbelted and belted “students,”… Continue reading. Posted August 4, 2016 by SafeGuard4Kids Staff & filed under News and Updates. 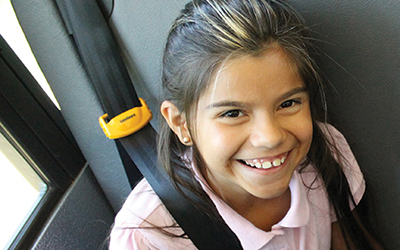 Momentum for adding lap-shoulder belts to school buses kicked into high gear in late 2015 when Dr. Mark Rosekind, NHTSA administrator, called on school districts everywhere to add seat belts to their school buses. “School buses should have seat belts. Period,” Mr. Rosekind stated to an audience of transportation directors from around the country. “Every… Continue reading. Posted April 13, 2016 by SafeGuard4Kids Staff & filed under News and Updates. March 20th. The Griffith High School basketball team from Griffith, Indiana, was on their way to the state semi final game. One moment it was a typical bus ride. The next, it was anything but. March 31st. Both the Woodville High School boys and girls track teams were headed to a meet… Continue reading. Posted November 8, 2015 by SafeGuard4Kids Staff & filed under News and Updates. Something momentous happened today in the drive to see America’s children protected on their school buses with lap-shoulder belts. Speaking before school transportation directors from across the country at the NAPT conference, NHTSA Administrator Mark Rosekind went on record with NHTSA’s clear recommendation of lap-shoulder seat belts on school buses. “Seat belts save lives. That… Continue reading. Posted October 6, 2015 by SafeGuard4Kids Staff & filed under News and Updates. 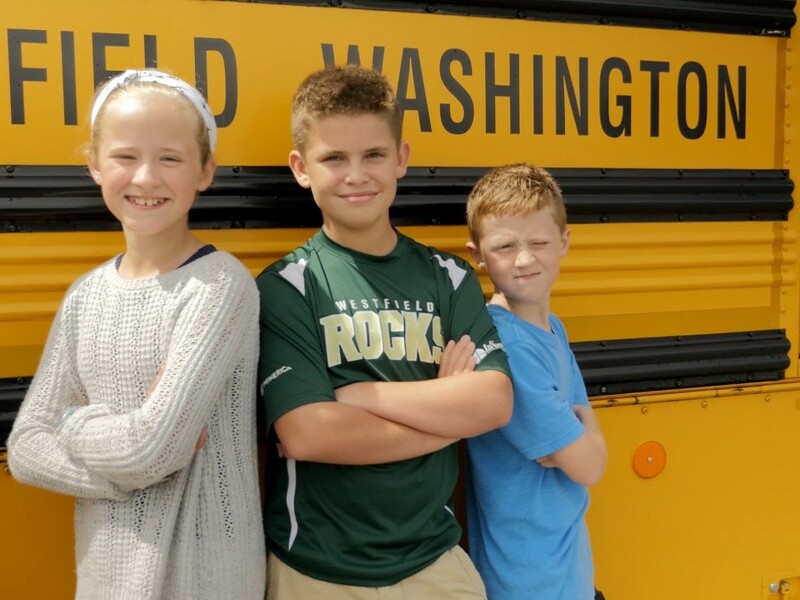 Earlier this year, Westfield Washington Schools decided it was time for seat belts on school buses. Where they started with them could be a model for other school districts to follow. Westfield wisely began their foray into seat belts with their travel buses. These buses don’t stick to neighborhood roads but travel on the interstates… Continue reading. Posted September 10th, 2015 by SafeGuard4Kids Staff & filed under News and Updates. This morning, a report from Today Show national investigative correspondent Jeff Rossen offered the strongest support yet from NHTSA president Mark Rosekind for seat belts on school buses. “Would safety belts make them safer?” Rosekind asked. “Absolutely.” Rosekind also promised NHTSA was working on new safety requirements to keep our kids safe in and around… Continue reading. Posted July 7th, 2015 by SafeGuard4Kids Staff & filed under News and Updates. For the first time, SafeGuard4Kids attended the National PTA Convention. Held in Charlotte, North Carolina, the convention brought together PTA delegates from all over the country. 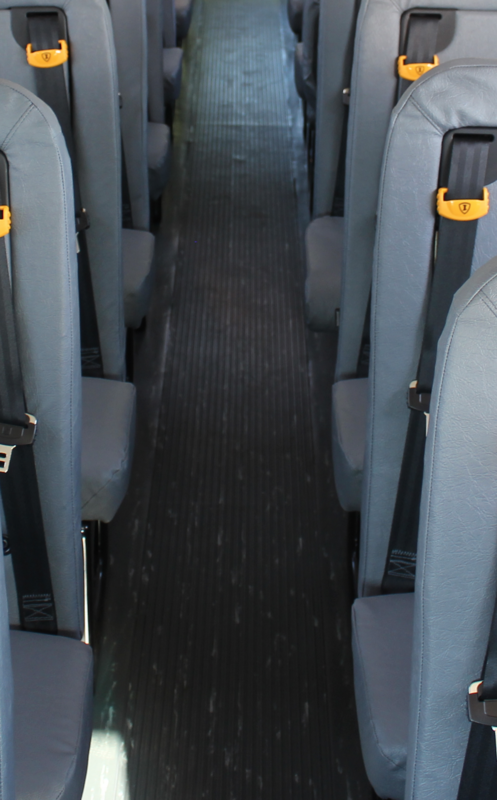 While we can make noise about bringing lap-shoulder belts to school buses, and we can strike down the misinformation out there about them, the only people who can truly… Continue reading. Posted January 30th, 2015 by SafeGuard4Kids Staff & filed under News and Updates. When ABC News investigated why lap-shoulder seat belts aren’t on school buses, they came to IMMI’s SafeGuard4Kids. As the only organization currently doing any real research in this area, IMMI lent our testing, engineering and safety expertise to help out. For years, opponents have voiced outdated and untrue excuses that have kept this vital safety equipment off most… Continue reading.